I can't believe it's been almost a month since I posted. I have some explaining to do! I took a trip to Florida to get together with some of my cousins, the oldest of which just turned 91. There were 5 of us and we spent about 5 days talking and reminiscing non-stop!! 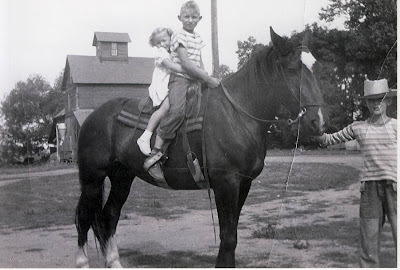 Which brings me to the first picture, which is of me and my older brother on a horse named Red at our great-uncle's farm in Minnesota circa 1950. This picture displays something that the 5 of us cousins had in common as an important remembrance of our childhood. I grew up in the Chicago area, but in 1950 my grandmother's brothers & sisters were just about all farming in Minnesota and we loved to go there to visit. The first day of the cousins' visit we went to see the Ponce Inlet Lighthouse. 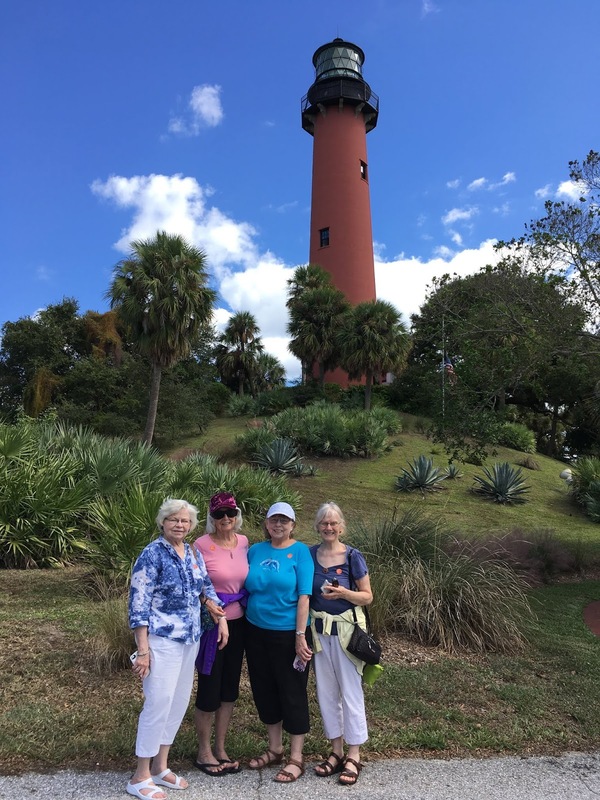 A couple days later we went to the Jupiter Lighthouse. The cousin missing in the Jupiter picture is shown with me below. We were 2 weeks apart in age, so we were very close as children. We are in Jupiter and that is the Atlantic Ocean behind us. 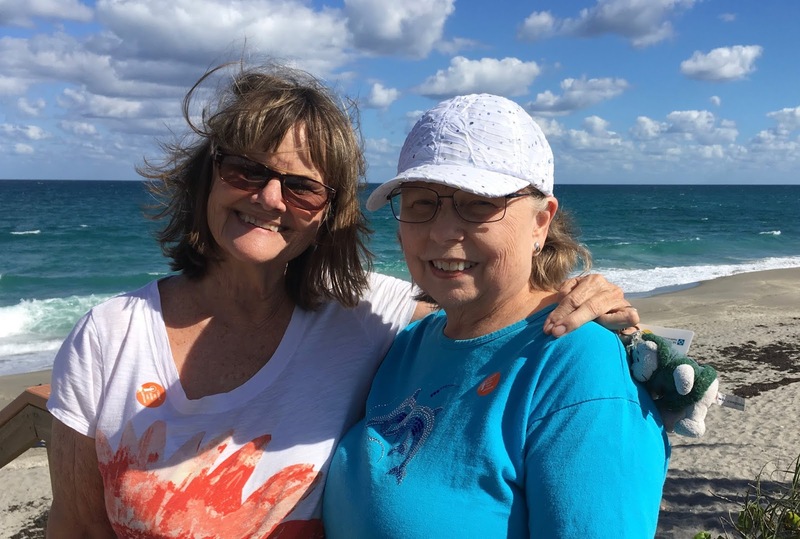 After my wonderful visit with cousins, I traveled to Pensacola to visit DS, DIL and DGD Abby. 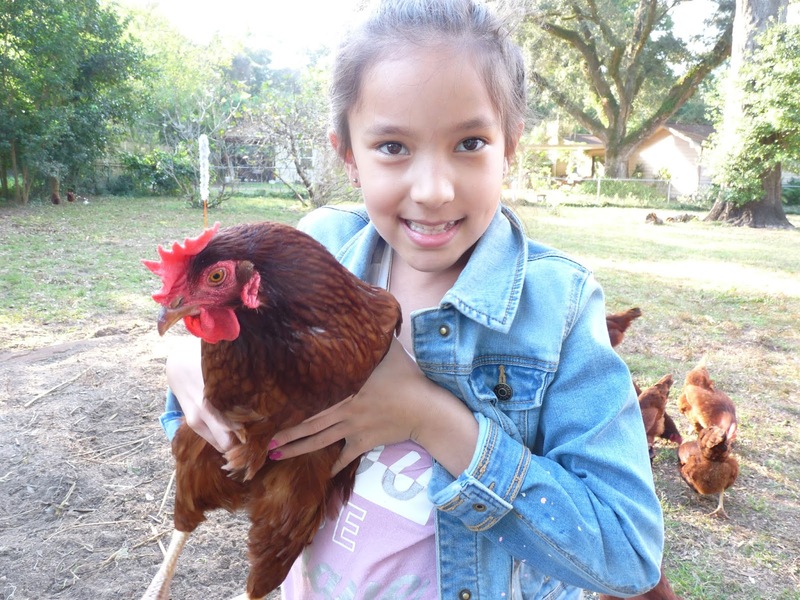 They now have 15 chickens and Abby loves them. It was great to have some quality time with Abby! She will be 10 in December and is into all things girly and blingy! 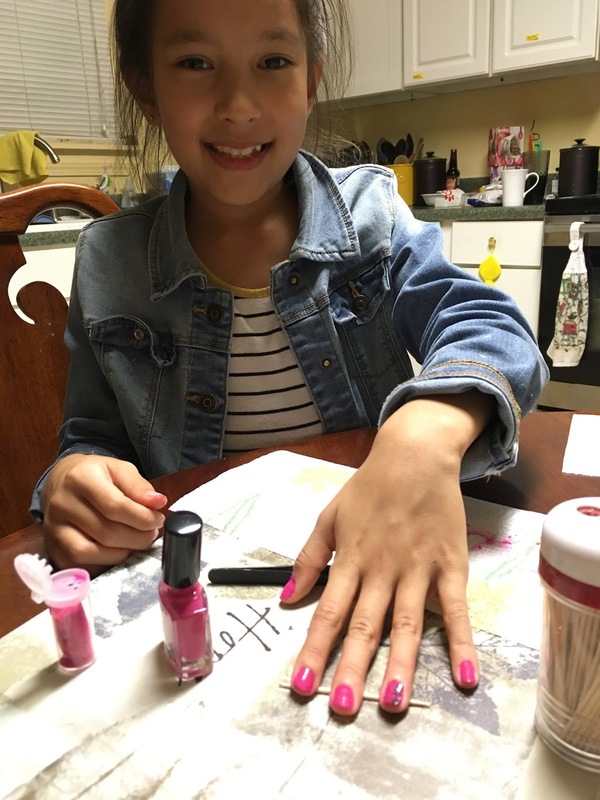 She loves to polish her fingernails, so we did that one day. We saw these ducklings on our way to the fabric store one day and had to stop to get some pictures. 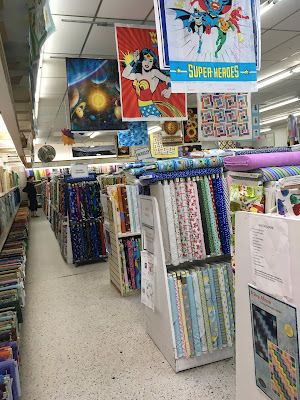 A & E Fabric Store in Pensacola, Florida is wonderful! I went there a few times - it's only about a mile from my son's home. They have several orange trees in their yard as well as a huge grapefruit tree, so DS is picking some oranges for us to bring home. We had our Christmas gift exchange and I gave Abby her quilt. 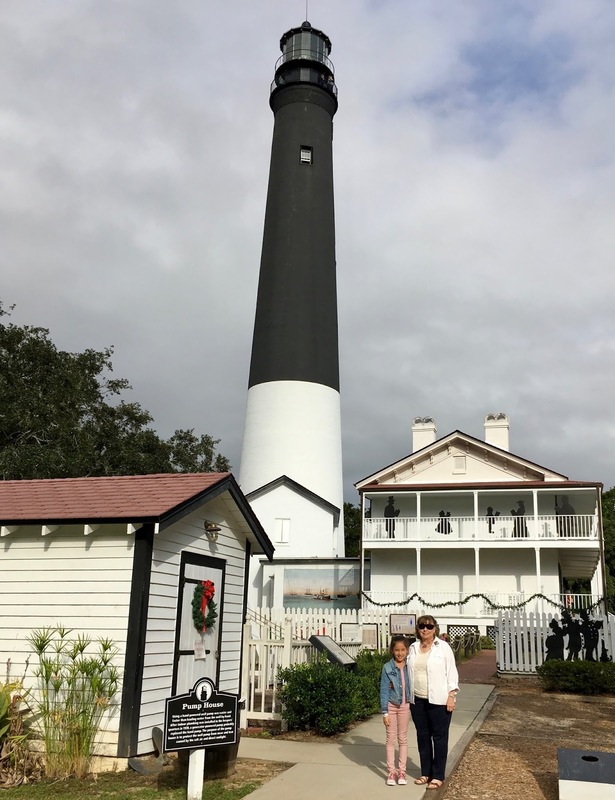 I visited the Pensacola Light House at the Naval Air Station with my DIL and Abby. Oh, and BTW, I climbed to the top of all three lighthouses! Since I came home, I have been getting ready for 3 craft shows. After they are over, I will be getting ready for Christmas, as all of you will be doing. Our 3rd son and his family will be coming to Oregon for Christmas - for the first time! We are excited to show them where we live, etc. Now I better get back to cooking for our Thanksgiving dinner. We do have so much to be thankful for! Happy Thanksgiving to your and your families! What a fun trip for you! Kudos to you for climbing to the top of each lighthouse. I have visited lighthouses on the east and west coasts, but not one had the option of going to the top. What an amazing trip! Looks like the quilt for Abby was a hit!! So exciting to have family coming to Oregon for the holidays. I'm sure it will be memorable. What a bunch of pretty and cute pictures! My, how Abby has grown; I'm sure you enjoyed seeing her and the family. It's wonderful that you have so many happy memories made with your cousins over all the years. I have similar memories of my cousins too. Hope you had a Happy Thanksgiving. I spent the afternoon and evening dinner with my son and DIL; she cooks the best turkey I've ever eaten! ---"Love"
That looks like such fun - particularly the cousins part! 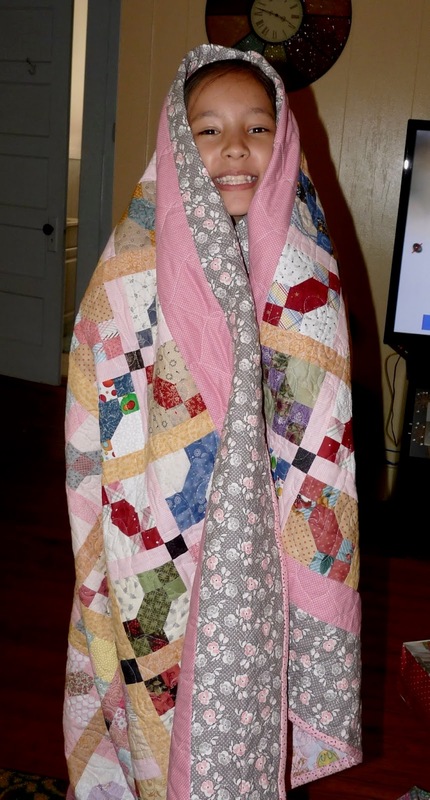 I see Abby loved her quilt (why wouldn't she?! ), but am curious what came home with you from that wonderful fabric store? Looks like a wonderful family trip! 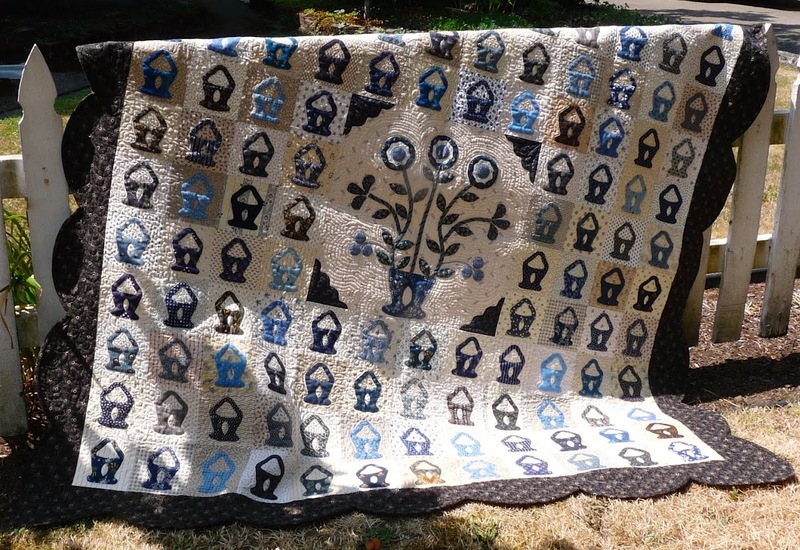 Love the photo of Abby with her quilt! 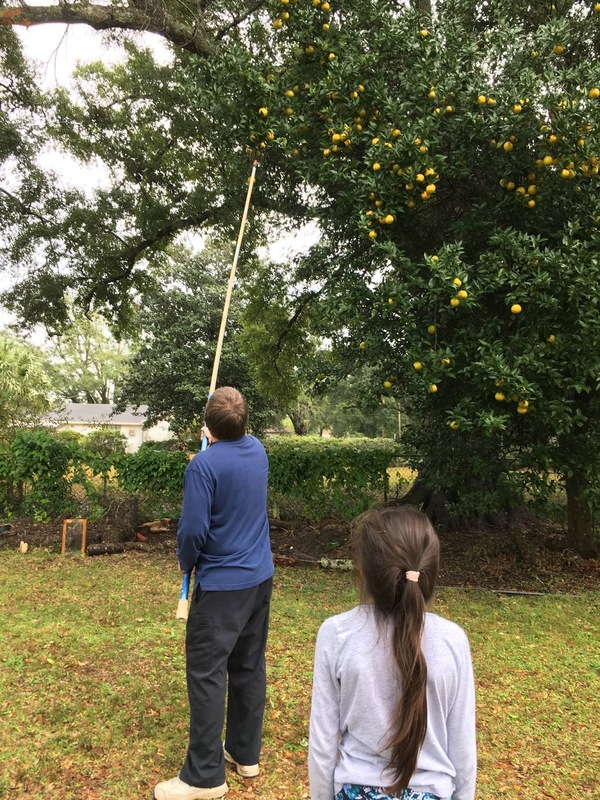 I can't imagine picking my own citrus! what fun. 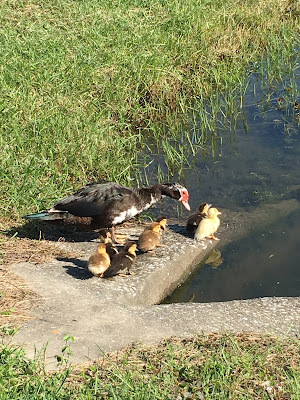 Looks like a wonderful trip spending time with family! 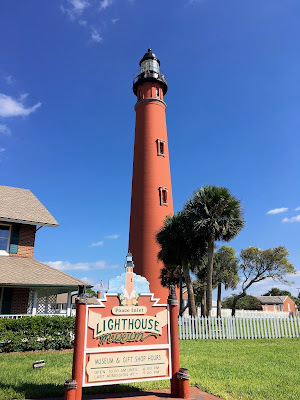 The photos are fun to look at, love the lighthouses. Abby is growing up so much, she is still a cutie and looks like she loves her quilt.